England not noted for its leadership in design rather surprisingly produced the greatest art nouveau tiles of any country. The combination of technological innovations following the industrial revolution and exuberance of the peak of empire created the conditions for the boldest designs in the most brilliant colours ever seen on tile which to this day over a century later remain unsurpassed. 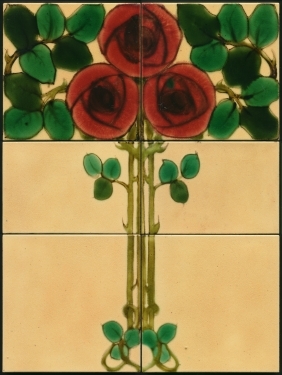 The tiles shown here are pure Art Nouveau or have clear Art Nouveau elements. As with any style the definition gets blurred, artists take different paths and have different influences, traditional styles are blended with modern styles to create something unique. At the begining of the art nouveau era we find arts and crafts influences, then some with a gothic sense and others with classical elements. Nevertheless style is to some extent a matter of taste and opinion so some folks may disagree with some of our selection : ). Art Nouveau itself has several distinctly different sub-divisions for example jewelled and cartoon designs. 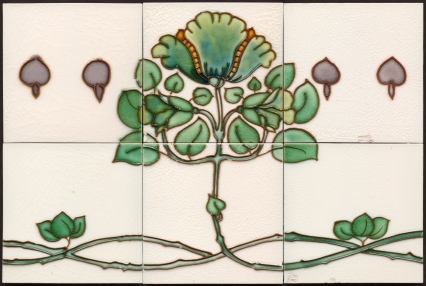 There were differing interpretations by different designers, for example the works of Charles Rennie Mackintosh have little in common with those of Charles Voysey. 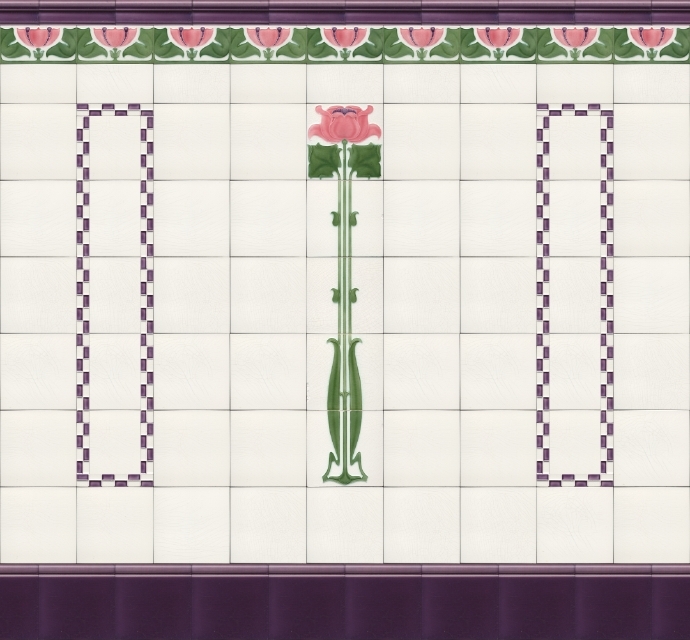 Most tiles are majolica although there are examples of other decorating techniques. Please click on an image for a larger image and details. We may have more of a particular pattern/series than shown as it is not always possible to list all together, please ask if you require several matching tiles. 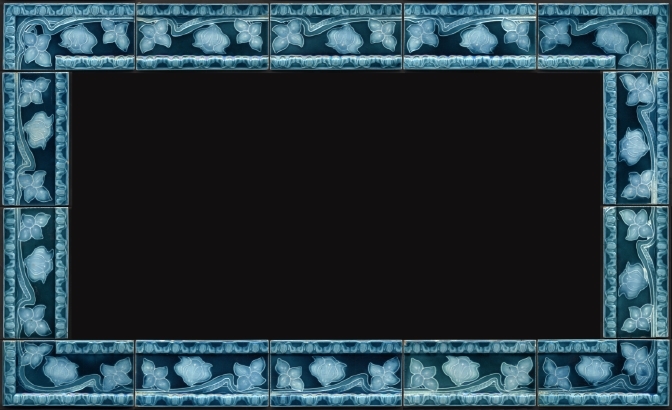 Larger groups are shown on the fireplace tiles and panels pages.